WeWork is one of the leaders in creating co-working spaces all around the world. They create some of the most amazing and beautiful, shared office spaces. One of the ways they do this is though wall murals. Not only hand painted murals but also through custom printed wallpaper murals. Below are some of the wallpaper murals I've designed for a few of their locations. 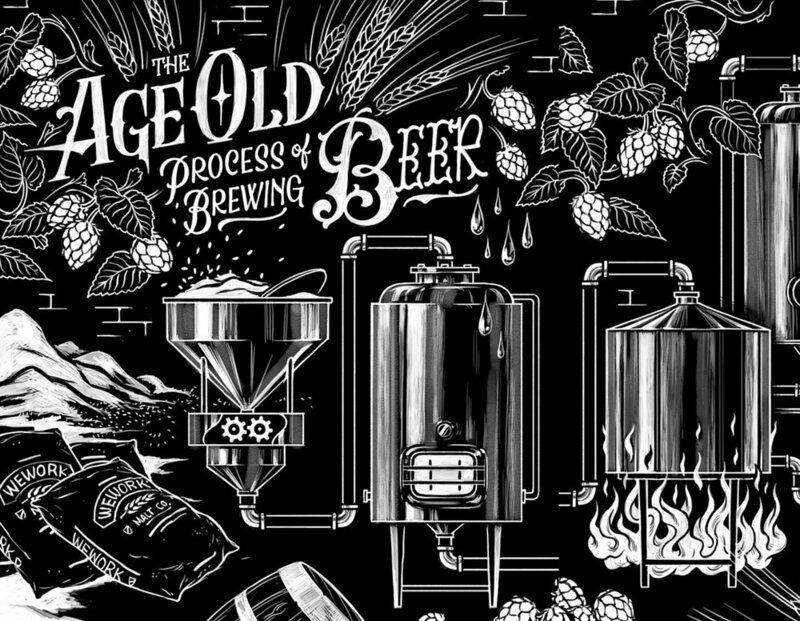 Illustration showing the beer brewing process. Drawn to resemble a chalkboard mural. Burrito infographic mural, inspired by old vintage scientific posters. Illustrated in watercolor. Mashup of London inspired graphics.